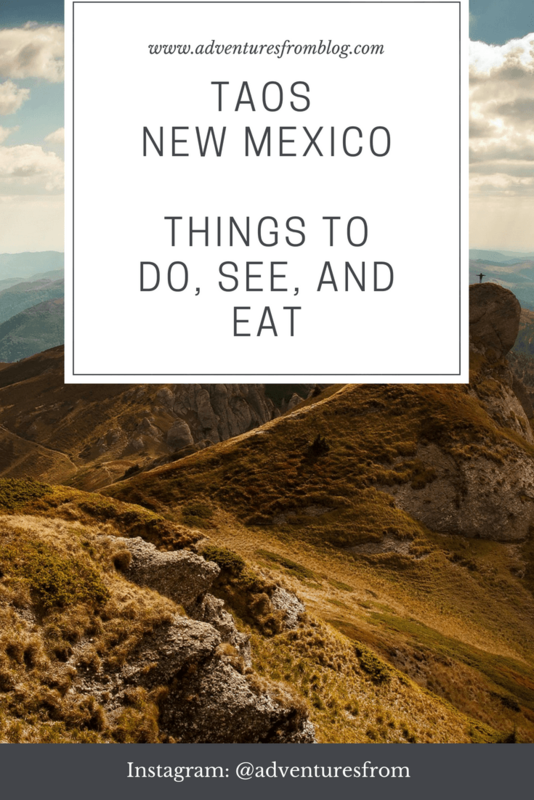 Here’s our sample itinerary from when we road-tripped to Taos, New Mexico (famous for its artists and pueblo-style art inspo) and the Great Sand Dunes National Park (famous for its, well, sand dunes, and the juxtaposition of mountains and desert). We did both locations in one week. Alternatively, you could add this itinerary to the Southern Colorado Road trip and make it a 14 day trip total. 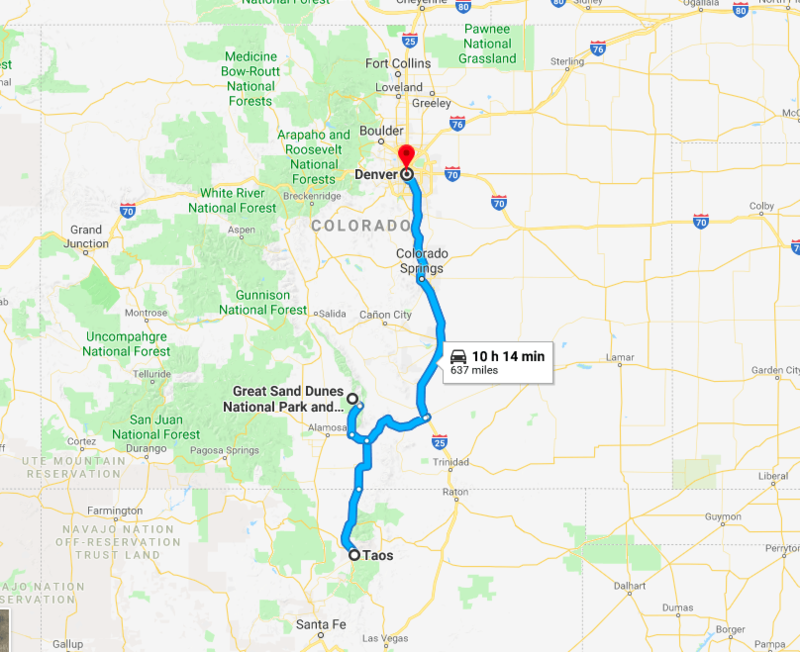 We enjoyed separating out Taos, New Mexico and the Great Sand Dunes National Park since it gave us ample amount of time to fully enjoy these two destinations. Tip: you definitely need a car, either rent one or drive your own! It can get expensive with Uber. This place holds a special place in our hearts. Only here can you get mountains, plains, and sand dunes all in one giant geological swirl. Hiking in sand is also a really great workout! [ ] do a night tour with a ranger (nightlife in the desert is so beautiful and alive! bring sunscreen – protect your skin and yourself against skin cancer and wear sunscreen! Wear a hat to protect your face and protect yourself against skin cancer.